Your 2018 camping music festivals can be found right here! Yes folks, the daffodils are peaking out of the earth and spring is in the air. Music Festival planning is upon us and we here at Lost Campers are pumped up to get you on the road for an epic music festival experience. 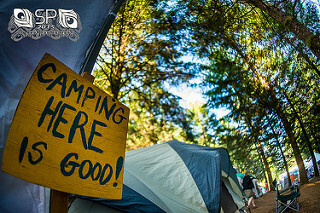 The following is the Camping Music Festivals schedule for the western U.S.A. to make your planning easy street. This post will be regularly updated as we move into summer, so keep chomping at the bit for more camping music festivals updates! I mentioned these three major festivals in a previous blog post as well, but they are some big ones and definitely deserve extra attention. Go go gadget campervans! Get your boots on and cowboy up! Head south to the desert for some country music fun. Florence, AZ is a 7 hour drive from our Los Angeles location. Joshua Tree National Park is a great place to camp along the way. This is one of the biggest music and art festivals in the U.S. and this year is going to be epic. Coachella Valley is only 3 hours drive from our Los Angeles depot , 9 hours drive from our San Francisco depot and 10 hours from our Salt Lake City Depot. There are loads of great places to camp along the way from any of these locations. Why not make a week or two of your trip? Our LA depot is already nearly booked out so we recommend acting quickly if you would like to travel from LA! Amazing live music in wine country, who could ask for more? Napa Valley is only a 2 hour drive from our San Francisco depot. Booking early is recommended to assure availability – early bird gets the campervan! One of my favorite bands is playing this festival this year- the Alabama Shakes (lead singer Brittany Howard just won herself a Grammy)! Check out the line up with the festival website link below. George, WA is approximately 13-14 hrs. drive from our San Fran location, there is loads of great places to camp along the way through Northern California and Oregon to break up the trip. www.reserveamerica.com is a great site to research and book campgrounds. 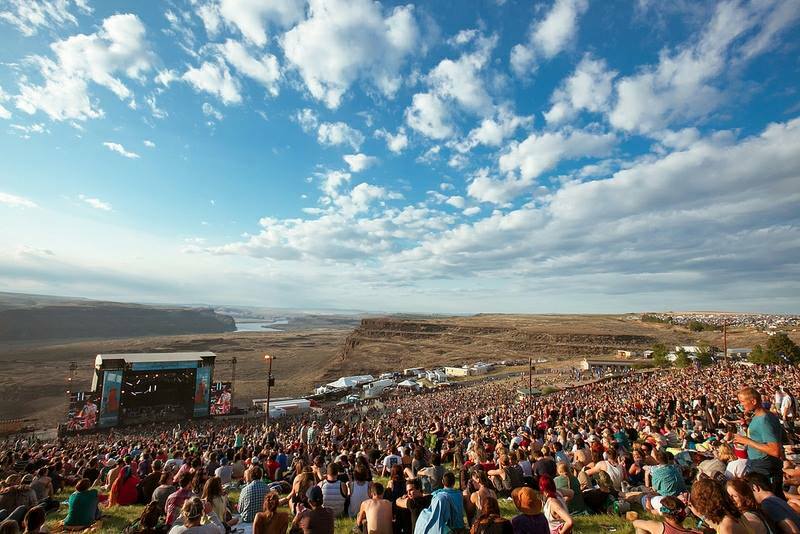 Camping: There are several different types of festival camping passes offered at Sasquatch, check out the website for more details. This Music Festival is fantastic and is known for being the most environmentally friendly festival out there. There are loads of opportunities for education on green living and energy conservation. Lightening in a Bottle is a great example of how all music festivals should be in regard to their environmentally friendly approach. Bradley, CA is roughly 3 hours drive from our San Fran location, and 4 hours drive from our LA location. We are booking up quickly for memorial day weekend, so booking your campervan early is recommended. Camping: Be sure to purchase a car camping pass in addition to your festival pass to campervan camp- all standard camping with out a car camping pass is tent only. Check out the website for further information and pricing. The annual festival promises a magical four days of only-in-Telluride performances. Beloved Festival veterans and inspiring new talent. The Telluride royalty of virtuosic bluegrass superpickers, soulful songwriters, and some of the biggest stars in the rootsy Americana landscape and well beyond. Dust off your cowboy hat and get ready to jam! 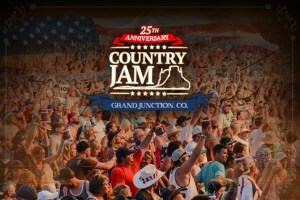 With an amazing line up of country stars you can’t go wrong with Country Jam! This is one of the largest country music festivals in the U.S. so get geared up and book your campsite early as they fill up quickly! Camping: Yes, book soon as they are nearly sold out! The four-day festival features an eclectic mix of some of the most famous national and international names in jamband, newgrass and funk. Other represented genres include bluegrass, roots rock, electronica, reggae, jazz and afrobeat. Away from the music stages, patrons can attend films and movement playshops – yoga, pilates, etc., shop for arts and crafts, or enjoy a wide variety of gourmet food and drink. It’s a family friendly and community oriented event with an expanding Family Area full of activities and certified nannies available throughout the weekend. Camping: Yes, it is booking up quickly so act fast! The RIDE Festival has quickly garnered a reputation among music fans for its thoughtful performance curation – handpicking rootsy, rocking talent whose music flawlessly compliments the festival’s stunning Telluride, Colorado setting. 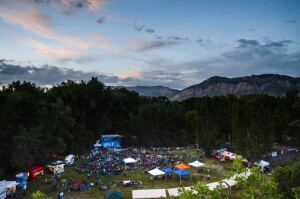 In addition to stellar live music, The RIDE Festival’s close proximity to the many outdoor activities that Telluride and southern Colorado have to offer help make the festival a unique destination event. Attendees can enjoy hiking, biking, fishing, hot springs, and so much more – all in a truly majestic setting. The premier Bluegrass, roots, Americana music festival of the Pacific Northwest, held annually at Horning’s Hideout, North Plains, OR in July. Camping: Yes! Lots of it! 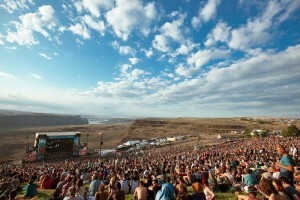 Jamboree is the Northwest’s premier country music festival. Nestled in the foothills of the scenic Cascade Mountains, the Oregon Jamboree is held on 20+ acre park-like setting that includes the historic Weddle Covered Bridge. Camping: Yes, but it very limited! You’ve discovered some new artists, now hear even more. 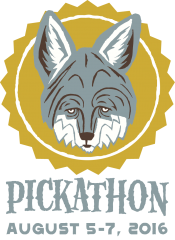 Pickathon Original Series features a ton of recordings not available anywhere else. This is your chance to re-live the awesome, and get a closer look at the artists behind the music. Dust off your leather pants and get ready to rock! Camping: Yes, on site, but spots sell out, so book soon! 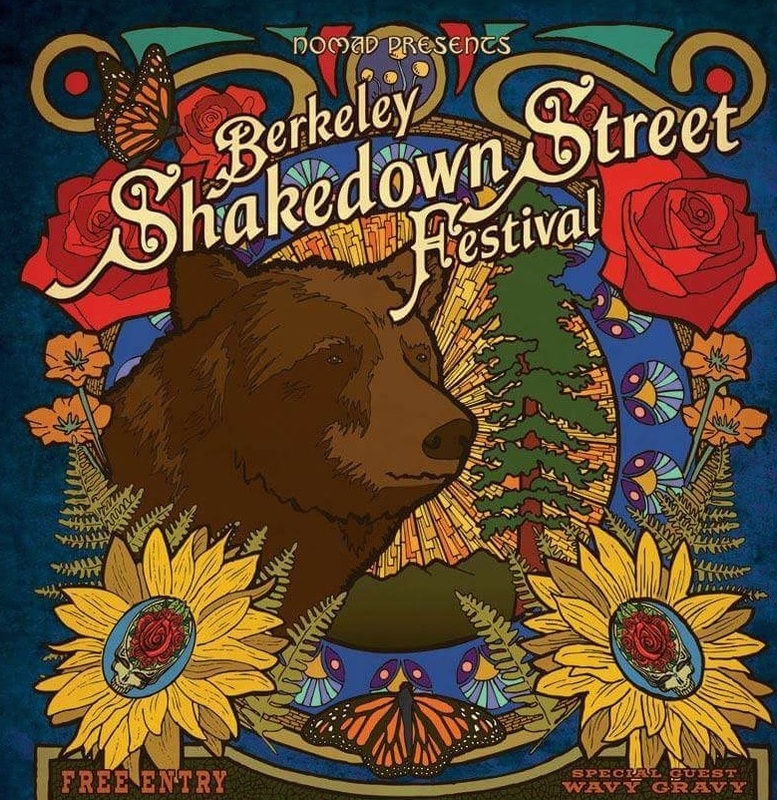 The Strawberry Music Festival presents the gold standard in main stage entertainment, intimate side stage performances, top notch children’s programming, workshops and activities for the whole family, and some of the nicest people you will ever meet. Bhakti Fest West is a Yoga, Dance, Music Festival which celebrates the devotional path that has its roots in yoga, kirtan, and meditation. It embraces ancient and modern sacred wisdom and traditional and non-traditional spiritual practices. Your 2016 camping music festivals can be found right here! Yes folks, the daffodils are peaking out of the earth and spring is in the air. Music Festival planning is upon us and we here at Lost Campers are pumped up to get you on the road for an epic music festival experience. The following is the 2016 Camping Music Festivals schedule for the western U.S.A. to make your planning easy street. This post will be regularly updated as we move into summer, so keep chomping at the bit for more 2016 camping music festivals updates! Amazing live music in wine country, who could ask for more? 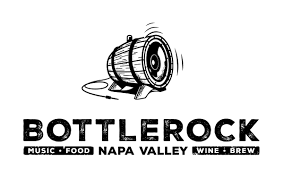 Napa Valley is only a 2 hour drive from our San Francisco depot. Booking early is recommended to assure availability-early bird gets the campervan! 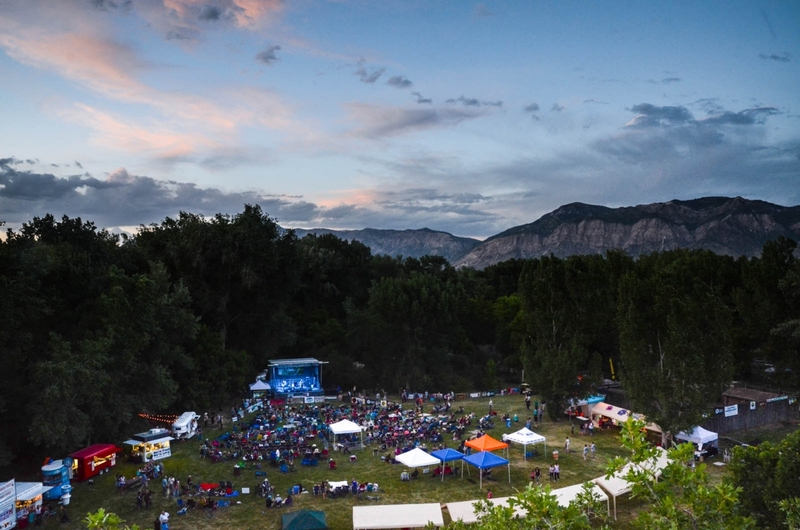 This is the 43rd annual Telluride Bluegrass Festival. 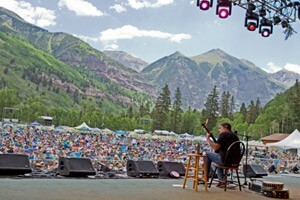 Welcome the summer solstice with 4 days of bluegrass music and magic in the San Juan mountains of Colorado. 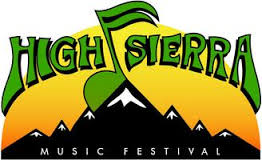 This legendary festival offers an amazing line up of artists like Bela Fleck and the Flecktones and Emmylou Harris. This festival should be on your list every year if bluegrass is your thing! Can I just say one thing? Ben Harper and the Innocent Criminals in the beautiful High Sierras….okay I know that is more than one thing, but need I say more? I think not. Pearl Jam is one of many greats playing this year! Burning Man is an arts and community gathering in a remote area of the Nevada desert. Participant build a temporary city on the desert playa and the event is host to various artists in all forms. A yoga and music festival! To be updated very soon! Camper van camping hacks that every Lost Camper should know! 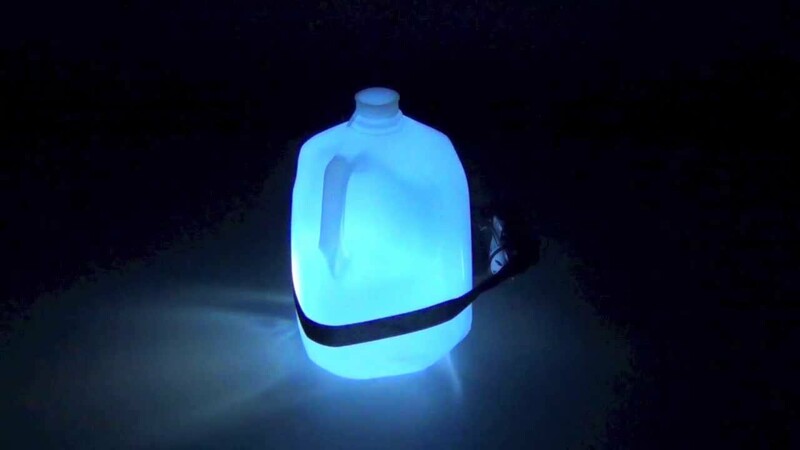 Camping hacks make life easier! Here at Lost Campers we are all about practical solutions while camping and road tripping. Here are some of our favorite camper van camping hacks that work well for campervan life on the road. Make sure all interior lights are off within the van. Open the rear pop out windows, close all of the privacy curtains and open the side windows just slightly. This will allow some much needed air flow and bugs are more likely to stay away as long as there is not light for them to follow in. You can also purchase rolls of screening at a hardware store that you can cut to size and close into the doors if you prefer a window or two to be all the way down at night. I have had a few renters use the screen option for desert camping and were glad they did, just be sure to cut the screening big enough that you can close it in the door to secure it, as using tape or adhesives will leave damaging marks on the van and that is no fun for anyone involved. Remove the dishes from the dish bin and store them safely while you fill the bin with water and use it as an additional wash basin for dishes and cleaning up. It comes in handy for washing and rinsing bigger dishes, then all the clean dishes can be stored in it once again when your done! With some coffee grounds, coffee filters and dental floss you can make what I like to call “coffee dippers” Put some coffee grounds in a filter, tie it up nice and tight with dental floss, then just like making a cup of tea, boil some water and steep your coffee dipper in the hot water for a few minutes to make a magical cup of Joe to start your day of adventure off right. Most people use 1-2 tbs. of grounds per cup of coffee. Yes, I know there are instant coffee bags out there, however you can make these with coffee you will actually enjoy! Use soft sided backpacks and duffle bags when packing for your campervan adventure. This is one of our most popular camper van camping hacks. When traveling with more than two people having bags that are pliable will allow you to fit more stuff into the cargo box of the van freeing up more space to ensure comfortable passengers at the back. We hope that these camper van camping hacks provide you with some easy solutions to make your trip even more enjoyable!